Competitors leap from the blocks at the start of another heat. The Pattaya Swimming Association and Chalamchol Burapa took top honors for girls and boys at the 15th Pattaya Swimming Open. The expansive two-day competition March 10-11 at Pattaya School No. 11 saw students ages 6-15 compete in 96 different categories, from frog and butterfly kicks to a 4×50-meter relay. The goal was to promote swimming as a sport of choice for students and to build youths for future international events. 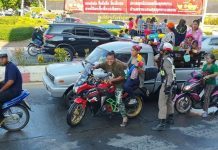 A total 50,000 baht in prize money was handed out. Pattaya City Councilma Choluek Chotekamjorn handed out trophies March 12, with the all-girl Pattaya Swimming Association coming in first overall with 1,032 points, earning it 10,000 baht. 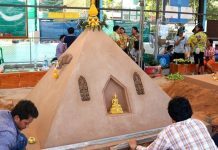 In a distant second place was the top boys team, Chalamchol Burapa, which earned 7,000 baht for its 570 points. 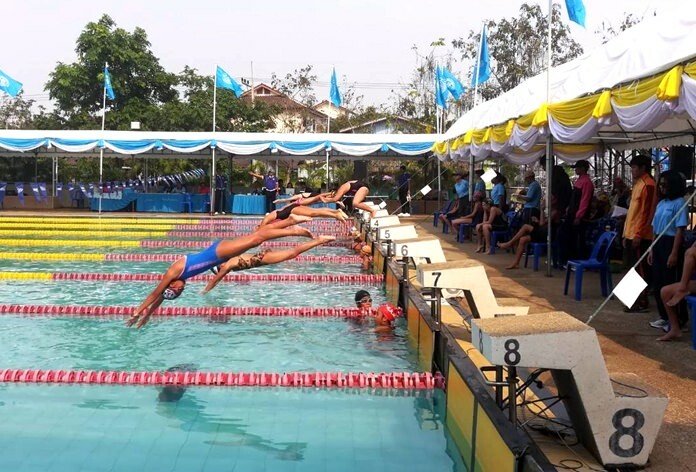 Finishing next, earning 4,000-6,000 baht, were the all-boys Banglamung Swimming Association, Rajanavy Sattahip and Marialai. 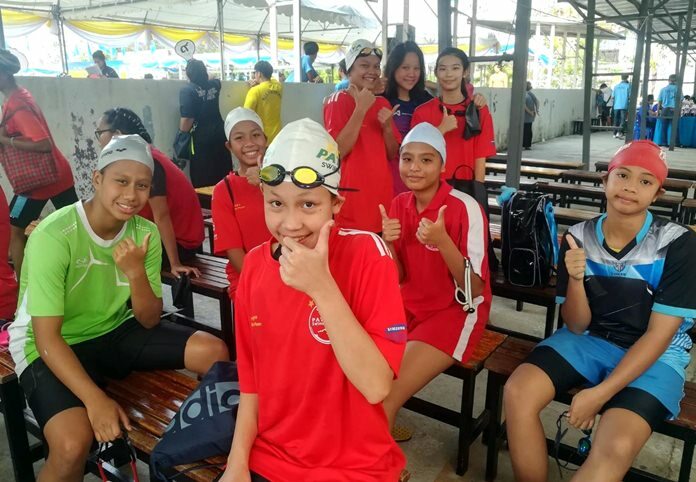 Young swimmers pose for a photo during the 2-day Pattaya meet.